Big Blue's Online Carburetor: Deschutes River RendezVW is June 19th to the 21st in Oregon! 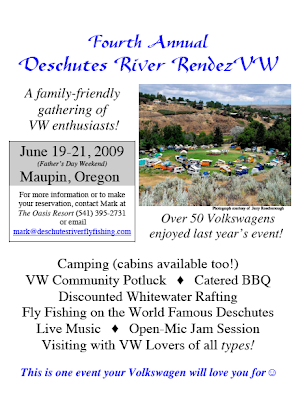 Deschutes River RendezVW is June 19th to the 21st in Oregon! Last year we tried and couldn't make it. This year we tried and can't make it. But next year, we are making it. Count me in if it's near the brewery.